When we think of places that might be at risk of water contamination, the last place we think of is usually in our own homes or businesses. Whether you are a homeowner or renter, business owner, work in agriculture, or even own a winery, you are likely a candidate for water testing. Dirty water can affect plant life and vegetation, quality of wine or beer, as well as overall health of those consuming the contaminated tap water. In regards to water testing, different tests and standards are recommended for different situations. For example, arsenic (a very alarming toxin) is actually a naturally occurring element in water. Interestingly enough, this is only considered toxic and unsafe in any amount within the state of California. Therefore, it’s important to take charge and be vigilant about knowing what exactly you are consuming in your water. How exactly do you know if you need to test your water and what should you look out for? 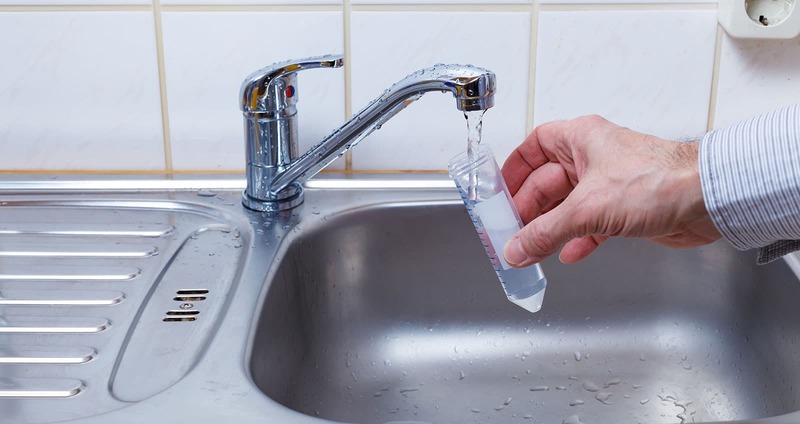 Read on to find out what kind of water contamination you are a candidate for whether you are a homeowner or own a specific kind of business. We all want to feel like our home to be our safe place. In order to do that, you have to make sure your humble abode is free from toxins. Water contamination doesn’t just seep into your body by drinking tap water – you are at risk by even showering in dirty water. Bacteriological: Bacteria in water such as e-coli or Coliform bacteria make water unsafe to drink as it can serious health issues and a very upset stomach. Nitrates: Occurs when fertilizer or animal waste transported through the irrigation system. Arsenic: A naturally occurring element that is considered toxic in any amount within the state of California. It is especially important to test your water from an agricultural standpoint, as the health and wellbeing of your plants depends on it. Excessive salt and boron can end up killing your plants and even cause extensive damage to your irrigation system. These factors alone make not getting your water tested a costly mistake. Tests performed in an agriculture setting include: pH, specific conductance, total dissolved solids, iron, manganese, boron, sodium, calcium, magnesium, total alkalinity, sodium absorption ratio, and calculated hardness. When you are responsible for agriculture, it becomes especially important to stay up date with your water testing to ensure that your water, and thus vegetation, remains clean and clear from any toxins. An unsuspecting, but very necessary runner up for water testing are wineries and breweries. Ensuring a clean water source means no customers running home due to a sick stomach, followed by an angry 1 star Yelp review. Making sure your winery or brewery adheres to local, state, or federal tests is important to maintain the quality of your product. Recommended tests for breweries include Sodium, Calcium, Magnesium, Potassium, Carbonate, Bicarbonate, Chloride, Iron, Sulfate, Nitrate, Electrical Conductivity, Est.Total Dissolved Solids, pH, Total Hardness (Lime), Total Alkalinity and Total Phosphorus. Wineries can often benefit from similar tests as well as TKN, EC, TSS, and BOD. Brelje and Race labs will tailor all testing to meet your brewery or wineries specific needs and ensure optimal product taste. Pump and well systems are mostly at risk for naturally occurring elements, pollutants, or animal contamination. Bacteriological testing, nitrate testing, and arsenic testing are performed in order to make sure the water is pure and not contaminated. Depending on the area, more in-depth testing may also be done for additional pollutants. Check out Brelje and Race’s specific testing packages to ensure your water is not contaminated, as well as keeping your home and business safe, or contact us today to start testing today!